In that rencounter did engage. The memorial was renewed in 1996 in association with the SCMA. There is also a memorial to John Law in Newmilns Parish Churchyard. 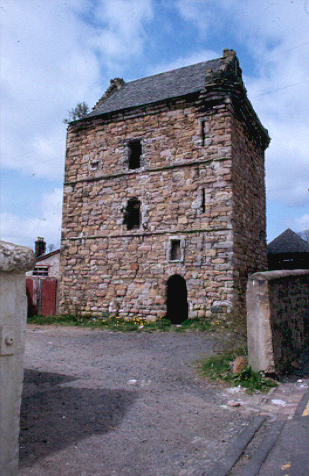 The tower at Newmilns as taken over by the soldiers and used as a small garrison at the time of the Covenant. 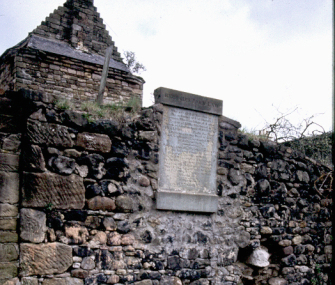 A group of Covenanters were taking part in a prayer meeting at Little Blackwood, Kilmarnock parish, which was discovered by Captain Inglis and his soldiers. James White was shot, and John Law and seven oher Covenanters were captured and brought to Newmilns Tower and held prisoner. 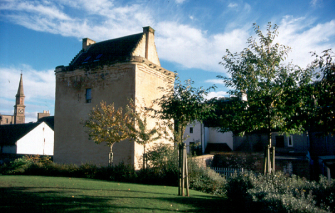 His Covenanter associates were to attempt a release, but Law was killed in the process and was buried in the garden of the tower.